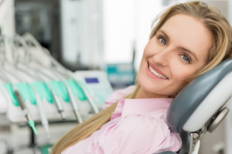 Sedation dentistry involves the use of a sedative to help patients relax while minimizing pain and discomfort. The most common forms used in a dental practice involve nitrous oxide, oral conscious, and IV sedation. Depending on the patient’s specific needs, the appropriate form will be administered. Often, sedation is recommended for those who are uncomfortable visiting the dentist due to dental fears or anxieties. However, it can also be recommended for those who have difficulty laying in one position for too long, a strong gag reflex, or trouble keeping the jaw open. Your dentist in Toledo may suggest the use of a sedative if you need to have multiple, lengthy, or invasive procedures. Who Can Offer Sedation Dentistry? Over the past 10 years, state dental boards have significantly increased the regulations over the use of sedation to ensure the patient’s safety. To promote the safe and effective administration of sedation, the American Dental Association has specific guidelines that require dentists to comply with state laws, rules, and regulations. To maintain the requirements and to ensure the safety of the patients, a dentist must complete additional education requirements. In addition, all dentists offering sedation must be adequately trained to manage any potential sedation-related emergency. Where Can I Find a Sedation Dentist? If you are interested in the use of sedation during your next dental appointment, Dental Group West can help. Dr. Robert Weisenburger has undergone advanced training to become a licensed administer of conscious sedation. He is one of the few dentists who are certified in IV sedation for your comfort and safety. We understand that discomfort and fear are often a leading reason you delay your dental care. To put your worries to ease, we invite you to come into our office for free to give you the peace of mind you need to schedule your appointment. After discussing your comfort level and concerns, Dr. Weisenburger will determine the best type of sedation to use during your appointment. Due to his special training, he will be the only dentist handling your treatment for your comfort. This not only makes it easier to schedule appointments, but also lowers fees and limits the number of people in the room. Dental Group West is dedicated to providing a wide range of services to exceed your expectations. With your comfort and satisfaction a top priority, we cater to your individual needs. If you require the use of sedation during your appointment, contact us today to schedule a visit to our office.